I'm helping raise funds for Pathways to Aviation. Please click here to make a donation. Every dollar goes directly to inform, inspire, and engage young people to the world of aviation. The popular culmination of our 2019 Futures in Aerospace program features an evening of networking during our second annual Aviation Career Week. It's an ideal opportunity to connect aviation and business executives with high school and college students. The evening will be filled with networking activities, inspiring presentations, and scholarship awards. Please RSVP at your earliest convenience. The aviation industry boasts many career opportunities both in Truckee and throughout the world. We're on a mission to introduce aviation as a career possibility to all high school and college students. The Truckee Tahoe Flight Plan is part of our large initiative, called Futures in Aerospace, which provides college and career opportunities and connections to young people. Through the program, students will learn about the aviation industry, learn career preparation skills, and meet college and employment recruiters. Participation of students will be tracked, enabling students to earn tuition assistance scholarships. The Truckee Tahoe Flight Plan is open to all high school and college students, whether or not they're planning to pursue careers in the aviation industry. It's open to all! Register today and earn points towards the Futures in Aerospace Scholarship! Click here to register for the Truckee Tahoe Flight Plan. Become a Futures in Aerospace Supporter. Click here to sponsor a session or make a donation toward the expenses of conducting the program. Make a one-time, $18, donation to Pathways to Aviation. There’s a great deal of outstanding young people who either aspire to pursue incredible careers OR are ready to enter the workforce. Unfortunately, the majority of these talented students are not exposed to the many employment opportunities in the aviation industry. We are providing the solution through our programs, led by our popular Futures in Aerospace program. Pathways to Aviation identifies interested students and builds pathways to guide them toward continued education and/or direct workforce employment. The careers and mentoring program provides career readiness tools, best practices, and mentors, thus elevating their chances of pursuing their educational and career goals. The Futures in Aerospace program connects students to industry, aviation executives, and college and career opportunities. Students obtain an understanding of their hard and soft skills, articulate those skills on their resumes, share the skills and passions through face-to-face interaction, and develop strong relationships with aviation leaders. The donation you make will both allow Pathways to Aviation to introduce aviation to an increasing number of students, it will enable young people to fulfill their dreams. I have been affiliated with Pathways to Aviation for the past four years. There are many things I love about this organization. What I value most is that nearly every dollar contributed to this organization, including funds previously received from license plate sales, goes directly to programs. Pathways to Aviation has opened and continues to knock on new doors so that young people are given the opportunity to learn about the world of aviation. Whether it's to learn STEM-related lessons through the principles of flight, or to take steps towards pilot certification, or to pursue a career in the aviation industry, this organization makes it all happen. Connecting aviation business leaders to each other and local/statewide leaders. If you know of any other organization which goes to such great lengths to invest in an industry's future, please let me know. Pathways to Aviation is truly dedicated to creating opportunities, especially aviation's future workforce. Please join me in making a contribution to Pathways to Aviation. This organization, led by one staff member and nine board members, cannot succeed without the financial assistance. Every dollar contributed to this organization goes directly to programs. I invite you to learn more about Pathways to Aviation. The following links should paint a very descriptive picture of how we do things and how we allocate generous resources. Thanks for considering a contribution to this extraordinary organization. Take Flight with the future of the aviation industry and support the careers initiative with a donation. Professional development of local school teachers to be able to access the new aviation curriculum. Planning the 2016 Speakers’ Forum, taking place in early April. Initiatives designed to introduce aviation to young men and women, provide scholarships, and implementing new strategic goals. Replicate the aviation curriculum to all schools in Nevada. The support of budding aviation enthusiasts is important to people who have themselves developed and expressed a love of aviation through participation and appreciation. One way we can support young people who share our passion for flight is through the support of aviation scholarship opportunities. 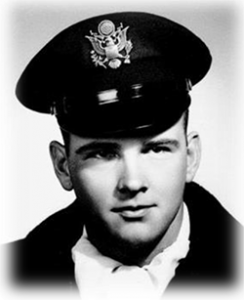 The “Brigadier General Fred L. Michel Aviation Scholarship” was established in the Fall of 2007 by the Stead Airport Users’ Association and the Reno Air Race Foundation’s Pathways to Aviation Program, to honor Brigadier General Fred L. Michel and to assist Nevada youth in the pursuit of aviation careers. During his 27 years of military service, Fred L. Michel was a Captain in the United States Air Force, flying the T-34 and the T-38, before moving himself and his family to Reno, where he flew the RF-101 and RF-4C in the Nevada Air National Guard until his retirement as Brigadier General. He was, as well, a retired Captain from United and Pan American Airlines, completing a career which saw him through the early, unfettered “good old days” of airline travel. His passion for aviation extended well beyond his careers in the military and the airline industry. A 38 year resident of Reno, he served 28 of those years as a Director of the Reno Air Races. Fred served as the second President of the Stead Airport Users’ Association for many years. The Brigadier General Fred L. Michel Aviation Scholarship Committee makes annual scholarships available to deserving students. Scholarships are awarded at the $500 to $2,500 range. The scholarship fund has achieved much interest from its inception. Funds will be used to assist accomplished young students, male and female, annually to fulfill their dreams of higher academic and athletic achievement with a focus on aviation. The money to initiate the Scholarship Program was contributed by the founding entities, together with private support from many others, combined with institutional and private contributions. A large donation was made by the family of Fred L. Michel in honor of their departed husband and father. The success and growth of Pathways to Aviation relies on engaged leadership. There are many ways you can help strengthen the organization and, more importantly, impact on aviation workforce and economic development. We're doing all we can to address the workforce shortage in the aviation industry. It's an exciting time to serve as a volunteer, as we're forging new territories, establishing collaborative relationships, and expanding our boundaries. Volunteer roles include presentations on specific industry specialties, providing career advice, assisting with special events, serving on the board or on a board committee, serving as a mentor to a young person, or helping raise money and awareness. All are equally vital to the strength and sustainability of aviation excellence in Nevada. We welcome voluntary assistance, no matter the time you're able to invest in this great adventure! We mourn the loss of our good friend, Dave Wilbern. His family has asked the Foundation to accept contributions, in his memory, to be applied to aviation-inspiring education and outreach initiatives. Donations are accepted online, by completing the information on this page. Those wishing to contribute by check may mail to PO Box 21433, Reno, NV 89515. All donors will receive a letter of acknowledgement. The Reno Air Racing Foundation is a 501c3 not-for-profit organization, based in Reno, providing support to aviation history and education. All donations are received as 100% tax-deductible gifts. Strategist, connector, speaker, solution-ist - #nonprofit, #careers, #nextgen, #fundraising. Director of @NPcatalyst, @GreekLadders and @AviationPathway.